This entry was tagged flash fiction, refrigerator, Servel, xanga. Bookmark the permalink. Our great grandma had a fridge like this, My core absolutely loved it until our father painted it some gaudy peach color. Thanks for the share, this brings back memories. Thanks! I’m glad you liked it and I really loved that it brought you some happy memories. wonderful writing. I love the visuality, and the red refrigerator too. Thank you-something about a red refrigerator, you know? Love it! Is this your fridge? A great story and I would love to have a fridge like that, especially in red! 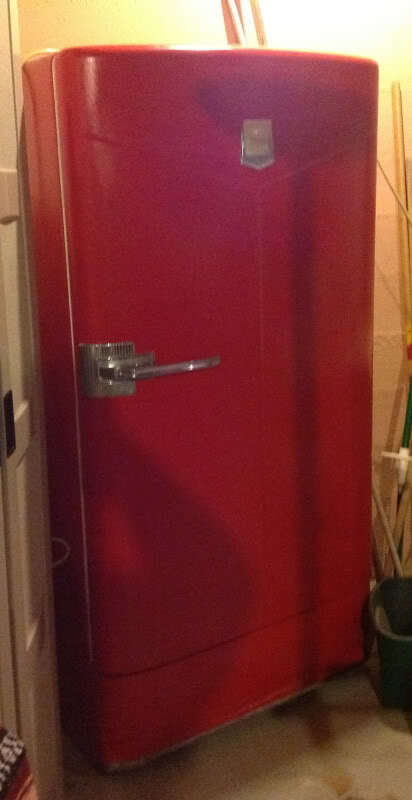 I enjoyed reading this and love the red fridge and man who would buy it to keep a smile on his brides face.